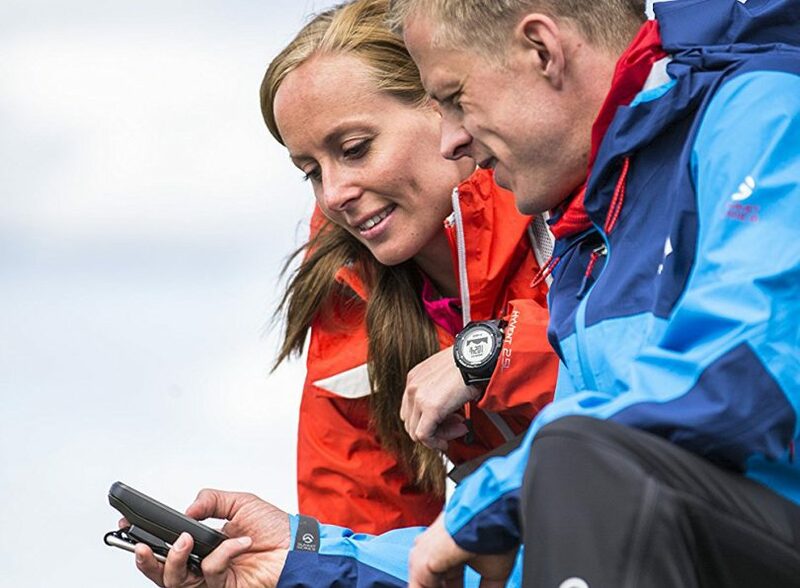 Planning to purchase a GPS device in the future, but don’t know which is the best one for you? You probably know by now that there are many types of these devices on the market these days and yet, the unlimited options don’t really make it easy for you to choose when it comes to selecting the one according to your preference. After all, which are the best handheld GPS devices in the market nowadays? Well, don’t fret, folks; all of these questions can be answered in this article. Whether you’re planning for an adventurous trip or camping on the weekend, it’s a universally known fact that a handheld GPS is a necessary gadget that is not only convenient but also ensures safety. In other words, if you’re planning to do long hiking tours on a challenging terrain that’s hard to navigate, then you know it’s a smart choice to get such a device. After all, proper navigation is a must in these trips, and there’s nothing more suitable than having one of the best hiking GPS devices. Now that you understand the importance of such a device, know that this article will not only feature some of the best devices, but also provide the accurate details and reviews that will help you select the one that is perfect for your needs. 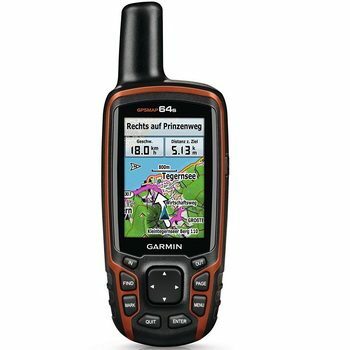 As this article dives in deeper, you’ll see that our top picks for GPS devices will focus on one brand, Garmin. The reason is that this brand dominates the market for being one of the best providers for GPS gadgets. Their GPS devices are known for their easy-to-use mapping software and easy-to-use features, which ensure safety and ease in directions. Below are some of the features you should consider when you are purchasing a handheld GPS device. Knowing these important facts will help you make the best choice possible. Hiking on a steep terrain is a tough sport, and therefore, you’ll need a reliable hiking GPS device that works flawlessly in rough weather. In other words, find one that is not only waterproof and durable, but also offers excellent shock resistance. As a matter of fact, this feature really depends on your preferred style of comfortability using either touch screen or buttons. Touch screens function faster and easier as they are not only easy to use in navigation process, but also the typing is more comfortable on your finger. However, the downside of touch screen devices is that they are not compatible for rough cold weathers. In other words, if you’re wearing gloves, it might be a little annoying to use, as the touch screen won’t respond to it. On the other hand, Handheld GPS buttoned devices are suitable to use for all kinds of weather. Though they are slower in response, their built-in software is very similar to , and as reliable as the touch screen devices. For quite some time, AA batteries were used in the GPS devices. But nowadays, you have the option to opt out the AA batteries and use lithium-ion batteries. Just remember that lithium-ion batteries cost extra even if the Garmin devices are compatible for its use. With this in mind, look for a device that offers you not only long battery life but also rechargeable ones. After all, you can always carry a spare set when you’re hiking. Most of the GPS devices are colored screen, but there are some that still provide a black and white screen, for cost purposes. However, it is advisable that you should use a color screen display if you want to read the maps easier. Not to mention, the screen size is also important as the color screen. Furthermore, for touch screen devices, it’s easier to use the device when the screen is bigger. Above all, choose accordingly to the screen brightness and the level of readability under direct sunlight. It’s best to select the one with an excellent sunlight readable feature, which will not cause any confusion, but also provide ease when you’re reading the maps. Most of the devices’ weight is actually based on the screen size, especially with the ones with old versions of touch screens and buttoned devices. Nonetheless, with today’s technology, more and more GPS devices are made to be lighter with bigger touchscreen sizes. For this reason, it is imperative to know that getting a lightweight device is pretty useful for many hiking situations. In fact, if the device is easy to carry, can fit in any pockets and have amazing features, then consider that as a jackpot! 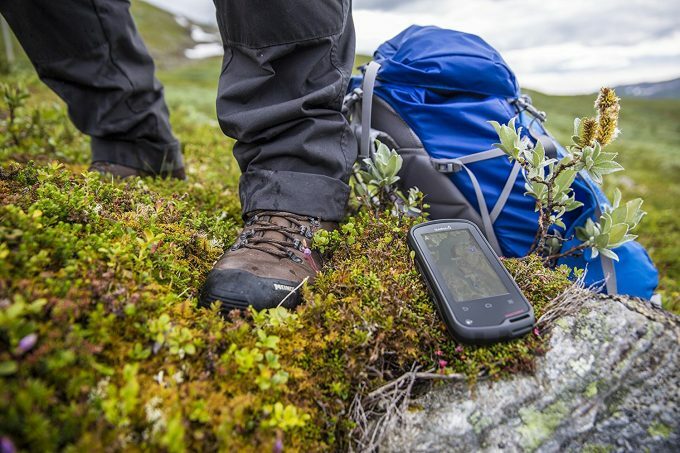 Many hiking GPS devices have excellent built-in memory high storage capacity. However, if you’re looking for a device with a higher memory capacity that can store significant amounts of map data, routes and waypoints, then consider getting a device that accepts micro SD card. With this option, not only you can store a large amount of data to be used for your trips, but also you can store pictures, videos, and audios, depending on the device features. 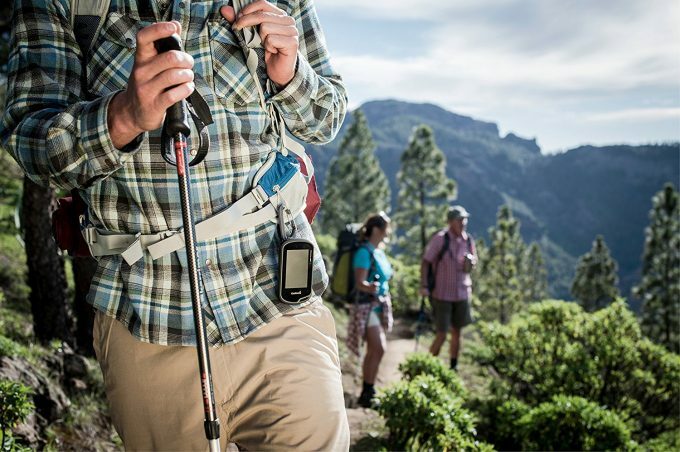 In this section, here is a list of the best hiking GPS devices. 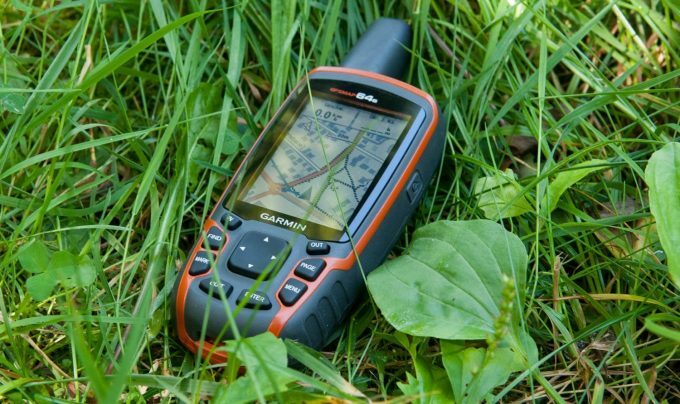 Use this list to help you decide which Garmin Handheld GPS model is for you. We have finally reached the part where you can read several reviews of handheld GPS devices and see which one works best for you! These devices are top rated and have many features, so pay attention to what you like in a device such as this! 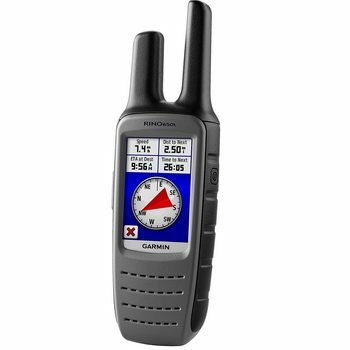 Description: First, Garmin Oregon 600 Handheld GPS technology sensors have built-in 3-axis compass, accelerometer, and barometric altimeter. Second, the Bluetooth software allows you to wirelessly share your routes and waypoints with other wireless compatible Garmin GPS devices. Lastly, this model allows you to add more maps and load all the geocaches. The Oregon 600 comes with one of the best sunlight readable touch screens that are not only durable in strength for impact resistance, but also features easy-to- use, high-quality touchscreen. This model has a built-in 3-axis electronic compass with accelerometer tilt compensation, which provides simplicity and accuracy in regards of pinpointing your tracks even if you’re standing still. Moreover, the barometric altimeter not only tracks changes in pressure depending on your altitude standing, but also can be used to update the weather changes consistently. In short, the Oregon 600 is exceptionally easy to use, extremely accurate and loads map faster. The only downside to this model is that it doesn’t have a lot of internal memory and therefore, it is advisable to get a Micro SD slot. Above all, it is still recommended that the Oregon 600 is one of the top touchscreen Handheld GPS devices for any outdoor activities. Related: If you plan on being in some rugged territory, you might want the Garmin ArmorSuit Screen Protector Shield which has a lifetime replacement and is compatible with this model. 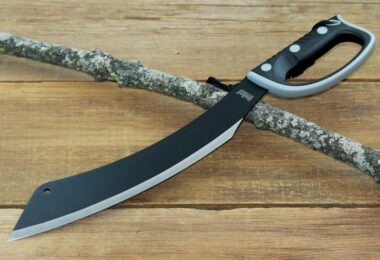 It has military grade material and is self healing. 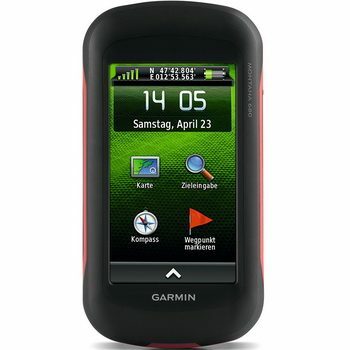 Description: The Garmin 64s high sensitivity GPS comes with a 2.6-inch sunlight readable color screen and high sensitive GPS and GLONASS receiver, with quad helix antenna for excellent reception. This model has internal memory 4GB and a micro SD card slot. On top of that, it features 1-year BirdsEye Satellite Imagery subscription, 3-axis compass with barometric altimeter and the wireless connection either through Bluetooth technology or ANT+ sensors. 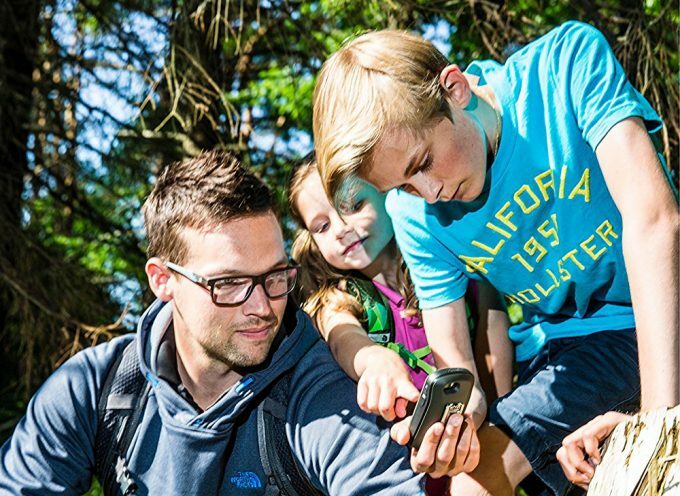 Lastly, the GPSMAP 64s supports geocaching, which also includes the 250,000 pre loaded Worldwide Geocaches. The GPSMAP 64s model is not only known for its liable features, but they also function more consistently. The GLONASS and the GPS receiver provide not only the best accuracy in the mapping system, but also the software responds quicker and better. The only downside to this model is that it is a buttoned device. So for those who doesn’t like buttoned devices, this model may feel bulky and old to you. 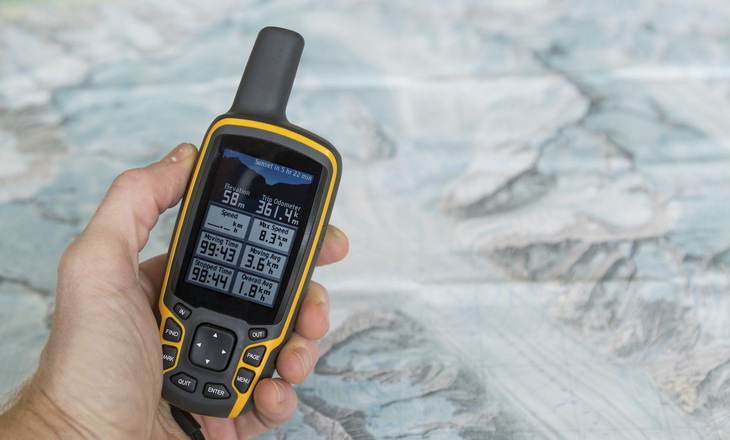 Nonetheless, the GPSMAP 64s is perfect to use for winter hiking and mountaineering adventures, as you know by now that buttoned devices work brilliantly in cold, harsh weathers. Related: You may find yourself in need of some rechargeable batteries for this GPS. The Garmin 11874-00 Battery is made to work with this model, by Garmin, and are affordable. Description: Garmin Approach G6 GPS comes with enhanced approach G-series user interface with new graphics and numbering which not only allows for users to access quickly for information but also the display itself is adjustable and sunlight readable. Lastly, it is preloaded with over 25, 000 worldwide courses for free. The Garmin G6 GPS features a slim design that allows it to store easily in any pocket. Technically, the GARMIN G6 GPS is the perfect device for a golf course. In other words, it is not suitable for GPS hiking trail purposes. However, the layouts of this device are simply extraordinary as it is not only durable but also reliable and waterproof. On top of that, when it comes to updating the courses map, you can do it easily online. Though this device is not suitable for hiking purposes, the GPS program is excellent in regards to location accuracy. By all means, the GARMIN G6 GPS is one of the top handheld GPS for Golf Courses. 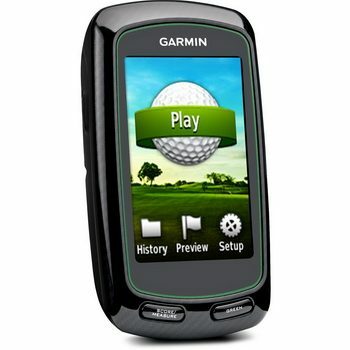 Related: As an addition to this GPS, the Caddie Buddy B00UZ9 Golf Cart for Garmin will work in your golf cart so you can be hands free. Affordable, this item clamps to the roof and can be removed at any time. Description: This Garmin Montana 680 Touchscreen GPS is slightly different from the others as it is featured with 8 Megapixel Camera and 4-inch dual-orientation. Not to mention, the touchscreen display is glove friendly. Very similar to the GPSMAP 64s, it comes with GPS and GLONASS satellites, 1-year BirdsEye Satellite Imagery subscription and 3-axis compass with a barometric altimeter. If you are looking for the best GPS receiver with the fastest reception, then Montana 680 is the one for you. With outstanding features and an internal memory 4 GB, this model will not disappoint you with its outcomes. Known for its easy-to-use features and the rechargeable batteries, the Montana 680 is perfect to be used for long distance tracking. Above all, this model is suitable to be utilized for all kinds of weather, and the touchs creen is glove friendly. The only downside of this model is the fact that it is bulky and large. Related: Since this item is so costly, you may want to take the extra step in protecting it. 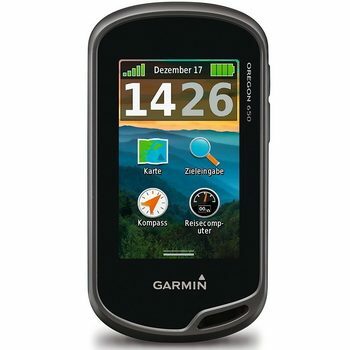 The Garmin 11654-05 Screen Protectors will protect your screen and is made specifically for this model. 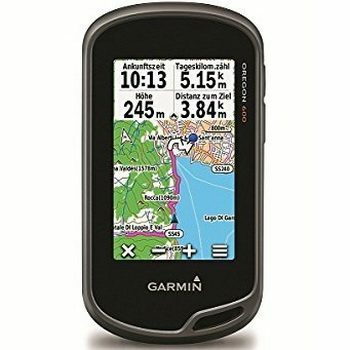 Description: The Garmin Oregon 650 GPS is equipped with 3-inch sunlight readable screen and a touchscreen display with the multi touch capability, which allows the user to multitask efficiently. Similar to GPSMAP 64s and Montana 680, it comes with GPS and GLONASS satellite positioning and 3-axis compass with a barometric altimeter. Furthermore, this model comes with a built-in 8-megapixel autofocus camera, which not only can be used for great recreation pictures, but also can be used to geotag the image location so you can always navigate back to the exact spot in the future. The Oregon 650 is not only easy to learn, but also the features are easy to use and the response time is exceptionally fast. In other words, this model is best to use for those who are looking for high end, excellent GPS tracking reception. Above all, this device waterproof, as well as durable, and it can store thousands of geocaches. The only downfall of this device is that the battery life is poor and therefore, it is never too safe to carry extra batteries to replace and the pre-loaded TOPO U.S. 24K maps are weak and not easy to be routable due to the 1:100, 000 scale maps. Related: For times when you need to be hands free, the GizzMoVest B00DWO Case Holster includes a belt clip and a lanyard so you can climb mountains without losing your GPS. Description: The Garmin Rino 650T GPS comes with a glove-friendly touchscreen display and 5-watt GMRS/FRS radio, which allows you to contact anyone and make emergency calls. This device is equipped with technology sensors that have built-in 3-axis compass, accelerometer, and barometric altimeter. 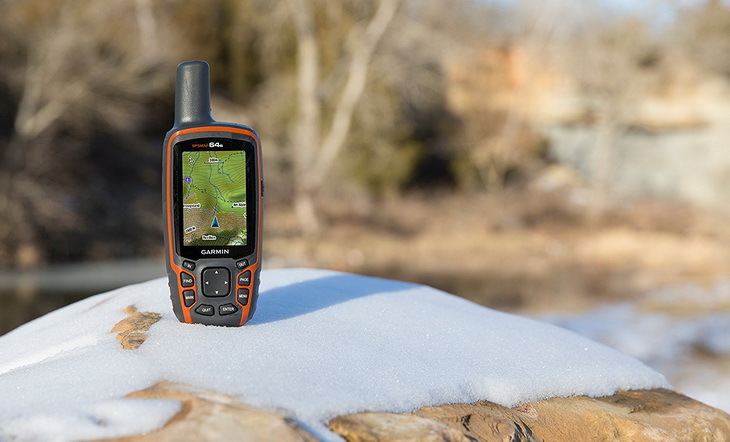 On top of that, this device comes with preloaded 100k TOPO U.S. maps and its geocaches software allows you to share waypoints, tracks, and routes with other Garmin GPS devices. It is best to say that the Rino 650t is suitable for short hiking or hunting trips. This device allows you to track each other’s location, and you can also use it to communicate with others by voice and text, outside cell service, which is a significant advantage in difficult terrace areas. Above all, this device is durable and waterproof. Nonetheless, the only disadvantage of this device is that the preloaded TOPO maps are not easy to be routable. Related: You may want to purchase a car charger for this device, especially if you are going on long trips. The Garmin 010-11598 Power Cable is compatible with this model and will work great! 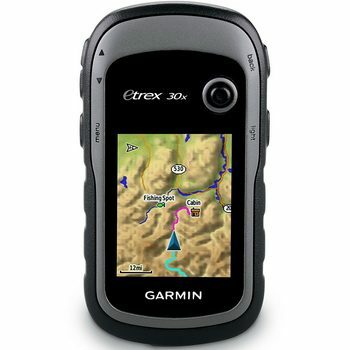 Description: First, this GARMIN eTrex GPS features 3-axis compass, barometric altimeter, and GPS and GLONASS satellites. Second, the eTrex 30x comes with the wireless feature, WAAS-enabled GPS receiver, and Hotfix satellite prediction. The eTrex 30x is equipped with 240 x 320 display pixel for higher screen resolution and sunlight readable display with 65 000 in colors. Based on its outstanding features, this can locate your position quickly and provide accurate location of your position even in tough terrace spots. 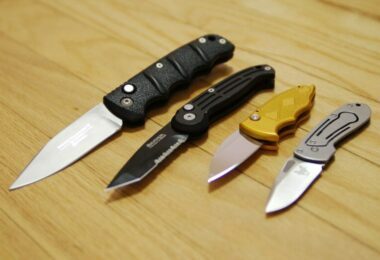 The eTrex 30x is known for its light in weight and is the smallest device among all that is mentioned in this article. Not only this device is waterproof, but also it is durable and offers shock protection. On top of that, it can accept any micro SD capacity up to 64GB. The only downfall to this device is that the device’s interface can be a little challenging, as it is hard to change your route if you don’t like the one that the device comes up with. Overall, it is an excellent choice due to its easy-to-use features and small in size. Above all, this device is definitely recommended for hiking purposes and geocaching. Related: You may want to consider a car adapter for this GPS system. The Garmin 010-10203 Power Adapter is made for this model and is easy to use, and very affordable. Given these points, choosing the best hiking GPS devices is completely based on your preference choices. To sum up, all of these devices mentioned in this article receive excellent reviews based on the durability level, the functionality of the features and navigation usage. Though some of the models have small disadvantages, they shouldn’t be seen as deal breakers.